In Episode 28 of English in 10 Minutes (Hadrian’s Wall), Wendy and I talked briefly about the Roman emperor Hadrian who commissioned the Wall. You can listen to the episode below. Wendy and I both used to be tour guides in the city of Rome, so we are Roman history buffs1. 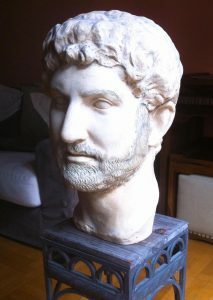 Hadrian is my favourite Roman emperor, and we even have a bust2 of him in our living room. A couple of years ago, I recorded a video of myself talking about Hadrian for an online course assignment. Because it’s related to one of our podcast episodes, I would like to share it with you here. 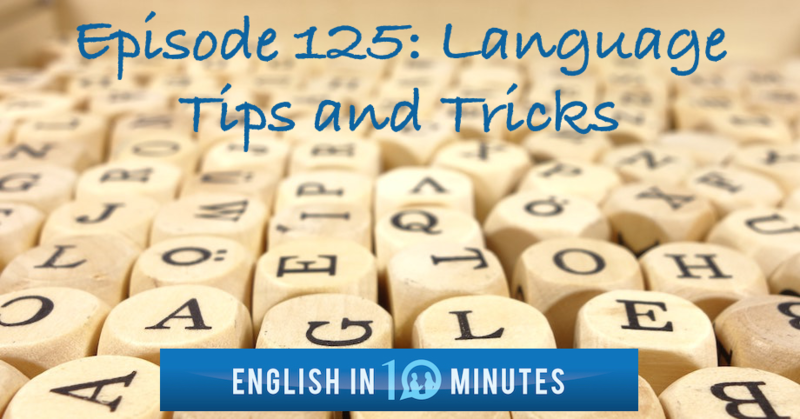 The video is a bit long (17 minutes) but I think I speak fairly clearly and in a more ‘broadcast voice’ as opposed to3 the ‘conversational voice’ that you hear in the podcast. There is no transcript, but I have prepared 10 comprehension questions to guide you through the video and test your understanding of the main things that I talk about. Read the questions first, then try to listen for the answers as you watch. The questions are in chronological order and the answers are below the video. 1. Where did Hadrian come from? 2. According to Nick, why is Hadrian a fascinating figure? 3. What are the three main areas Nick focused on in this presentation? 4. What does Nick think that Hadrian’s travels around the empire show us? 5. Why didn’t Apollodorus of Damascus like the temple Hadrian designed in Rome? 6. Where did Hadrian live while he was emperor? What was interesting about where he lived? 7. What does Nick think is the most interesting architectural aspect of the Pantheon? 8. According to Nick, what was Hadrian’s role in empire defence? 9. What does Nick say is one of the reasons Hadrian travelled around the empire? 10. Why did the Roman soldiers like Hadrian? Note: To talk about historical years in English, the standard way is to use BC (before Christ) and AD (Anno Domini). In academia, it is now more common to use BCE (before the Common Era) and CE (the Common Era). Because of that, you will hear me saying CE in this video when referring to the life and times of Hadrian. Hadrian came from Spain, from a city called Italica, near modern Seville. Nick thinks he is fascinating because he had a lot of intellectual pursuits such as architecture, philosophy, poetry etc. The extent of the empire (and Hadrian’s travels), architecture, and defence of the empire. They show us how far the distances were and how long it took to travel around the empire. Apollodorus thought the statues were too big for the doorways. He lived in a villa in Tivoli, which was built for him in Greek style because he loved Greece. The dome, because it is the culmination of the Roman mastery of concrete. Nick says Hadrian took Augustus’ vision of defensible borders and brought it to its fullest extent with the construction of walls such as Hadrian’s Wall (and the withdrawal from Mesopotamia). To inspect the provinces, their defences and their legions (Roman army units). They liked him because he did activities with them when he visited their camps and acted like an ordinary soldier.